the company which leads the fashion life. We are trying the best to maximize customer value. We purchase high-tech machines every year to serve customers with diverse products. To produce top-quality products, we always strive to maintain our machines and develop technique. To meet the delivery and keep our words, we manage production very strictly. Moreover, 20 designers are creating new designs to meet customers' needs on time. Continuous exertions of every staff have made Jin Young be in the customers' confidence, and therefore these efforts have become the base of Jin Young's advance. Our warp knitted products and circular knitted products are widely-loved in the domestic and international market of innerwear and outwear. We not only maintain the lead in domestic market but also export to all over the world, including America, China, Southeast Asia, Europe and so on. Moreover, 90% of print products from Jin Young P&T are exported to America and loved in home fashion market. We will keep our lead in Korean market and extend the share in global market by continuous product development and offensive sales. Since the foundation in 1984, we has been changing and innovating constantly, purchasing high-tech machines every year to extend our product line and present new products to customers. 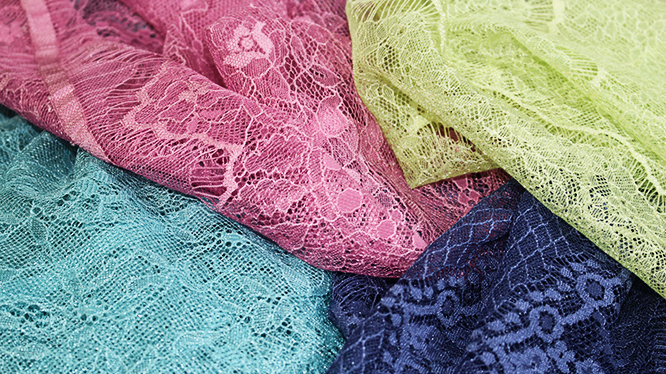 As a result, Jin Young has become to produce most excellent and diverse warp knitted products (lace, tricot) and circular knitted products in the world. In 2006, we went into home fashion industry by acquiring 'Kabool', the famous textile printing and dyeing company. 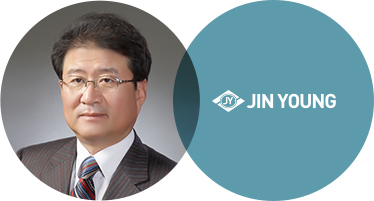 (changed its name from 'Kabool' to 'Jin Young P&T'). Now we are attempting to extend our business into new field. Jin Young's challenge for the future will continue constantly. Copyright © 2013 JINYOUNG CO. LTD all rights reserved.